Let’s Talk, our online radio program for Christian women. Join us for this informative, uplifting program designed especially for Christian women. Jesus first, Others second, Yourself third. On our site, you'll find study materials written especially for Christian women. In addition, we offer opportunities for seminars, children's Bible programs, and other helpful information. Look for full details about our offerings on the following pages. We invite you to visit our blog through this website for our frequent devotionals and comments. You're also invited to study with us on our online radio broadcast. House of Joy is the ministry of Nancy Baxter. 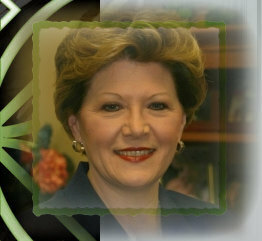 Nancy is the wife of Pastor Lynn Baxter and a member of Center Fork Missionary Baptist Church in Hot Springs, Arkansas. She and Lynn have two children and four grandchildren. Since 1982, Nancy has written a number of Bible study courses and programs for women and children, including Bible QUIZlympics, A Study of the Book of Job from a Woman's Perspective; and Hid in My Heart, a method for scripture memorization . She has also taught many seminars and retreats. When faced with the possibility of hosting an online radio program, Nancy jumped at this opportunity for ministry to Christian women. Learn more on the following pages of this website. ministries and service to our Lord Jesus Christ. By being part of our listening audience, you become a real part of the program. Your questions and comments are welcomed through this site. This is the women’s ministry you’ve waited for!